I’m finally back. It has been a hard few months around here I’ll write more about that another day, but for today the first order of business is to say a huge thank you to the incredibly creative Barbara Worthington who wrote a wonderful piece about communicating with someone who suffers from dementia. She created Caregiver Cards to help make that communication even easier. If you haven’t read that piece it’s here and if you haven’t checked out Caregiver Cards you can do that here! Thank you, Barbara! Then there was the wonderfully funny Roxanne Jones from Boomer Haiku who wrote a piece about caregiving for her mother-in=law. If you haven’t read that story you can find it here. If you haven’t yet visited Boomer Haiku you are missing out so go check it out here you won’t be sorry! After Roxanne, we had the extremely talented Doreen McGettigan who gave us some wonderful tips to improve our relationship with our parents. It was a terrific piece with lots of great advice and if you missed it you can read it right here! You can also read more from Doreen right by clicking on her name and you should really buy her book “The Stranger In My Recliner” on Amazon! Next Monday, we have the lovely Beth Havey from Boomer Highway as a guest and I really look forward to reading her caregiver story. Thank you so much for your terrific words I appreciate all of you so much! If you would like to write about your caregiving experiences I would love to post and promote them. Email me at Rena@thediaryofanalzheimerscaregiver.com! On Wednesday, I have a terrific resource to share with all of you that I’m really excited about. Actually, I might have two, but I’m not sure about the second one just yet. There have been so many changes going on behind the scenes around here. I have been taking stock of where I am in my life. What I want my future to look like and how I see myself getting there. Losing my brother the way we did has changed us all of us. There’s no way it couldn’t have, but when you go through things like that you have two choices. You can choose to lay down and do nothing. To stay on the path you are on or you can decide to make it count for something. You can choose to let it become the catalyst for change in your life to try a new path. As little as 7 years ago, my life was a perfectly scaled map. The topography of my world read like a U.S. Census report. Married young, basic education with just a little extra, full-time job, 2.5 kids and a dog. I had a job I loved and I worked 6 days a week. My youngest was turning 18 just as I was about to turn 40. That was the only advantage to having kids young I guess. My nest was soon going to be empty and we had planned to celebrate with a cross country trip to Seattle and back which we did. Over the next year and a half, I would total a car by having a deer hurtled through my windshield at 80 m.p.h. which left me unable to work or even drive a car. My son would join the Marines and be deployed to Afghanistan for a year after a whirlwind wedding to a girl we didn’t know. My daughter would graduate from H.S. and eventually marry her high school sweetheart, but not before she would almost die twice in less than three months. Oh, and my husband would lose his job because of the recession. A job he had held for a whole lot of years. He quickly found another, but it was for a third of what he had been making and 50 miles away. It’s no wonder that an undiagnosed illness and my depression would flourish like roses in a hot house. About halfway through I gave up and both literally and figuratively checked out. I barricaded myself in my bedroom and that is where I stayed for close to a year. Unable to walk any further than the bathroom. The fear of another car wreck coupled with my own extreme social anxiety became a superstorm in my life that quickly spun out of control. I didn’t do anything for a whole year and it almost cost me everything. My brother is the one who talked me into going to the hospital that day. It was the last time we were able to really sit down and talk and we talked about life and what could be. I had given up on the medical field. I was in Florida saying what was in my mind goodbye and because of him I got in my car with my husband drove from Florida to KY and went straight to the ER.. On the advice of my SIL we went in blind meaning we didn’t tell them what was wrong only that I was sick and let them run the tests that needed to be run. They were back within the hour with bags of blood for a necessary blood transfusion. I had somehow lost a very large amount of blood from somewhere internal. It would be a month before I was released from the hospital with a new diagnosis and an expensive treatment. I was going to live, but how could we ever pick up the pieces of what was once our life? It was like we had been hit by an f-5 tornado. We didn’t have a plan or a clue but we just put one foot in front of the other and did what we had to do. We moved 400 miles away with what would fit in our car and headed south to a one bedroom apt that I rented online and the promise of a job. We had each other and that was it, but we survived. Life got better, but I didn’t know who I was supposed to be anymore. I wasn’t mom anymore. I wasn’t a mail carrier anymore. I wasn’t a member of any committees. I wasn’t anyone’s friend at least not for 400 miles. It was a hard adjustment and it was rough, but its been 4 years now. It’s time to take make that change. Its time for me to get on with my life in some form or another. Obviously, I’m still stuck in the house 24 hours a day for weeks on end mostly because of our situation, but partly because that’s what I do. But I’m still alive and I need something challenging. So I started taking online courses several months ago (even before I lost my brother), but I was letting fear keep me from doing anything with it. I have let fear rule my whole life. Fear of doing the wrong thing. Fear of making a mistake even though I’ve made PLENTY and survived them all. I’ve decided to take the many years of work experience I have and add that with the new information that I’ve learned to begin offering my own Technical Virtual Assistant Services! I am very excited about this new endeavor and I’ve worked really hard to acquire all the knowledge and tools that I need to do a great job. I have actually been doing it quietly for the last few months and I’ve grown to love it so much that I’ve decided to go public and acquire more clients. Not only am I offering V.A. Services I am also able to do Blogger or WordPress.com migrations and blog setup & design. I have years of administrative experience coupled with a whole host of other courses that I’ve taken in the BluePrint Mentorship Program (more about that on Wednesday! ), and edx.org (more about that later too) and I am off and running. I do hope that you’ll check out my new site at The Blogging 911 and see what all I have to offer. Who knows maybe I can even help you! I have all kinds of bundles and pkgs for anyone’s budget. If you know anyone who is in need of my service I hope you will pass my name a long. I’d be really grateful. The Blogging 911 opens for business next Monday February 15th and as a grand opening special I’m giving away 1 free blog migration, 1 free blog setup & design, and a 15 minute free blog checkup for anyone who wants one! There are 74,000,000 WordPress sites and that makes them a huge target for hackers. Are you protected? I offer an amazing Blog Maintenance plan that you won’t find anywhere else. Remember to: Appreciate the good, laugh at the crazy, and deal with the rest. I love you momma! Wow! It’s hard to imagine what you’ve been through but I’m so glad you are seeing the light at the end of the tunnel. I lost my youngest brother last year and so I can certainly relate to that. It was a shock. So glad you have created your own business and are pursuing it. Sending you good vibes for a prosperous and healthy rest of your life. You, dear Rena, are the ultimate survivor! When I am internally whining about the help my mom now needs, I think of what you are handling and realize I have it EASY and can carry on. Here’s hoping your new business earns you heaps and is fun for you! WOW Rena, what a world, what a world! Love reading your story and wishing you all the BEST in your new endeavor! Didn’t know you went to the hospital blind—actually knew anybody could go to an ER (Goldberg Kelly law) but thought custom or something dictated you tell them your symptoms. Great to know. pia recently posted…Bus Ride There; Bus Ride Here! You have made your choice and you will persevere. That, I know for sure. 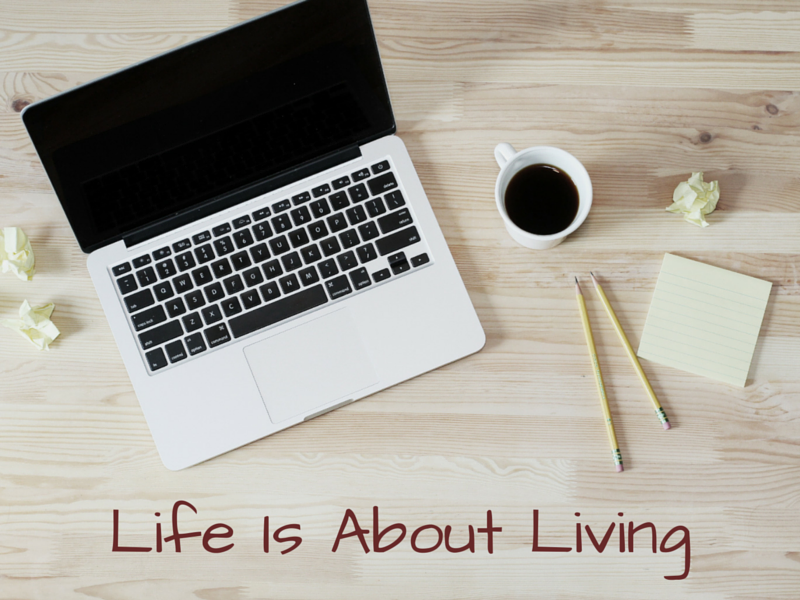 Carol Graham recently posted…Does Your Life Have a Restart Button? This is FANTASTIC! I think you’ll find there is a need for VA services and all your blog consulting. Congratulations on overcoming fear and stepping up! Congratulations on your new venture, I’m so excited for you. I will absolutely recommend you if anyone asks. Can’t wait to check out your new site! What a story! So inspirational. You’ve got everything it takes to be successful in your new endeavour, which sounds super exciting. Rena, what a journey you have had! I had no idea about a lot of your back story, and I am in awe that you not only are still standing but have maintained such a positive outlook. I’m excited for your VA business–I’m sure there’s a tremendous need for this, and you’re already “out there” and visible among so many of your potential clients. Brava to you for every step forward you’ve made and are making. There are many people in your corner; count me among them. I am liking where your story is going. Congratulations and I wish you continued success! Haralee recently posted…Will the Tooth Fairy Come to Me? Rena, I’m so proud of you! I tend to not do things because I’m afraid too. I’ve also been doing a lot of evaluating! So excited for you, and I can’t wait to see where all of this leads. Goodness, life has put you through the wringer. It’s very gratifying to hear the excitement in your voice about your new adventure, which sounds awesome! You have resilience in spades! Despite the extreme tests and trials that life has thrown your way Rena, you somehow manage to stay upbeat and positive. I admire you so much and wish you luck with this new venture – I know The Blogging 911 will be a huge success – and a tremendous help to many bloggers!